We believe in the importance of understanding our clients’ needs and limitations and provide a full range of professional services in a prompt and cost effective manner. Usendo Security services offer a reliable after-sales service which helps us to fine tune our marketing mix to suit customer requirements. Our knowledgeable staff is able to interpret individual customer needs, allowing us to deliver a tailor-made service that surpasses expectations. Our ability to recognise new developments in the Security Management Industry, along with our experience, prepares us to anticipate client requirements thus addressing ever changing needs and challenges in a timely manner. 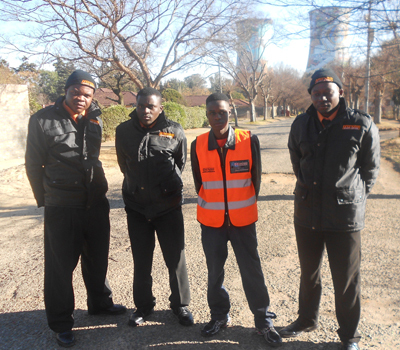 Usendo not only offers you the best security solutions with a range of skilled professionals, but we also offer you comprehensive service at an affordable price that you enjoy value for your money.